The Coconauts are an out of this world reverb-drenched instrumental surf band based in Phoenix, Arizona. These astronauts that were lost in time and space found their way back to Earth during July 2009 and brought their classic sound from the '60s to Arizona. With a large repertoire of originals and their own take on classics, The Coconauts are sure to convert you with their Coco-naughty sounds of the surf. So, bring a little reverberation into your life, kick back and imbibe their intoxicating concoction of multi-dimensional sounds of the summer of 1963. 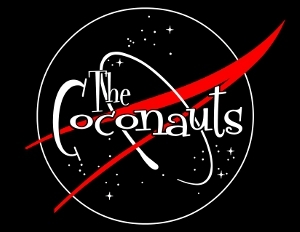 You can contact The Coconauts through e-mail or Facebook for any and all events.